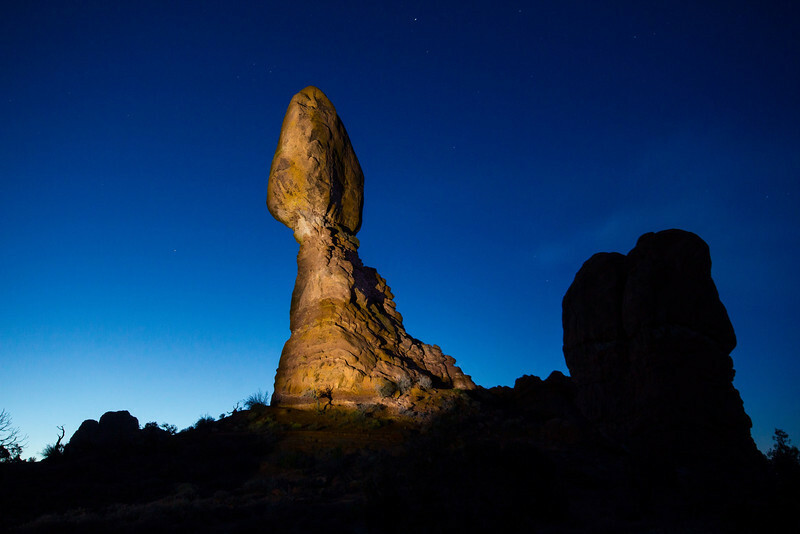 Balanced Rock, a 128 foot high formation was exposed at ISO 800, f11 at 20 seconds with spotlight painting. Taken March 18, 2013 at 6:40 AM in freezing cold. The long exposure makes it look brighter than the pre-dawn glow at the time, which was a very deep blue glow on the far horizon with near black night sky everywhere else.